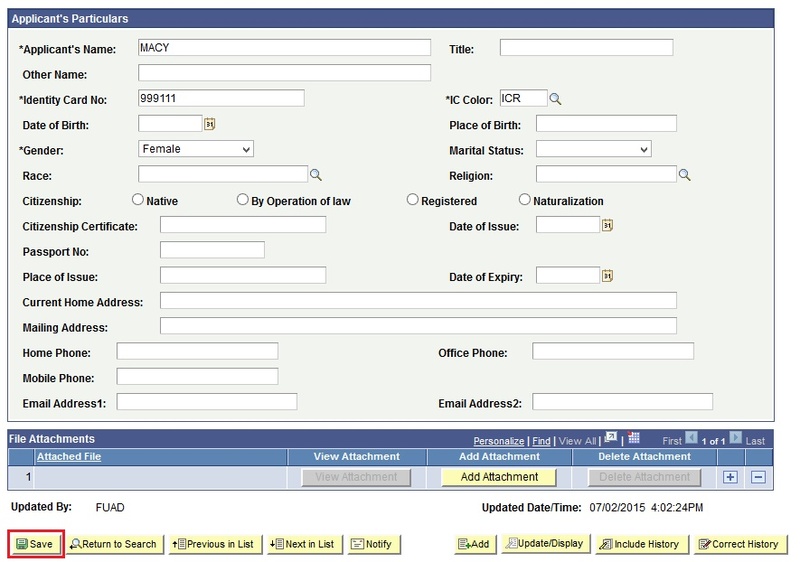 "This function allows the users to change the student Scholarship Application Form Status to Rejected if the student who is applying for scholarship does not pass the interview or test. Once the status is Rejected, the Scholarship Section must generate a Rejection Letter to be send to the student." Navigate to Main Menu > Student Financials > Scholarship and Bursaries > Scholarship Application Form. In the Find an Existing Value tab, enter the values in the Academic Institution, Student ID or the Application ID and the Application Year fields of the student applied to. Note: Enter the IC Number instead if you don't know the Student ID or the Application ID. Also the magnifying glass can be used to search for the student. Click on the Search button next to search for the Student application. 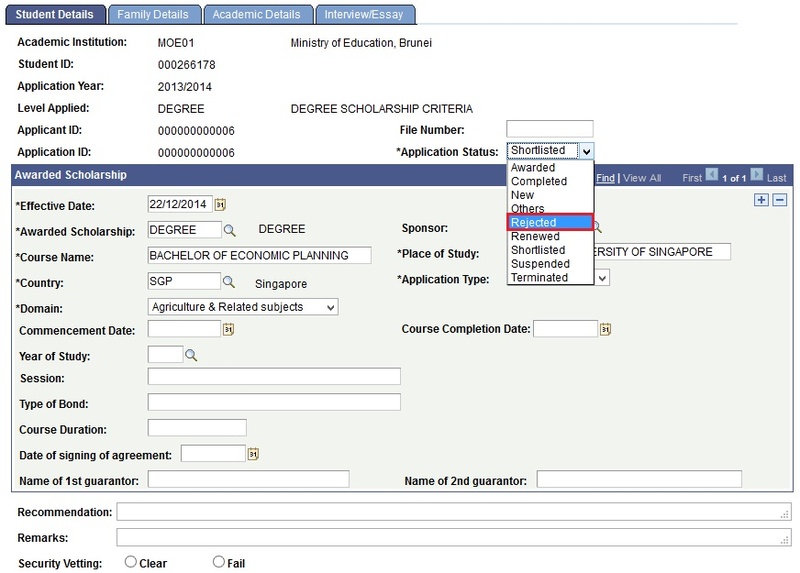 On the Scholarship Application Form page, click the Application Status dropdown field and choose the status as Rejected. 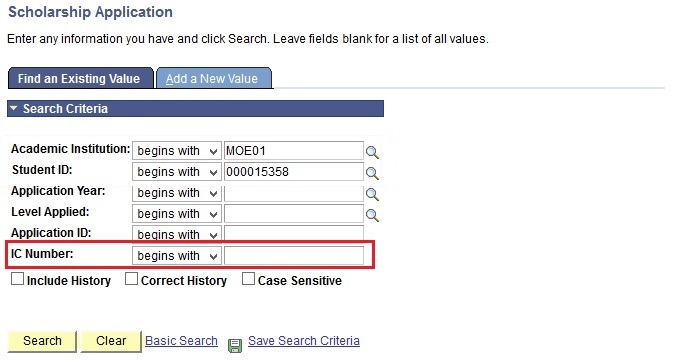 Once you have changed the Application Status, enter a reason in the Remarks field why the Scholarship Applicant is Rejected. Lastly, click the Save button after that. 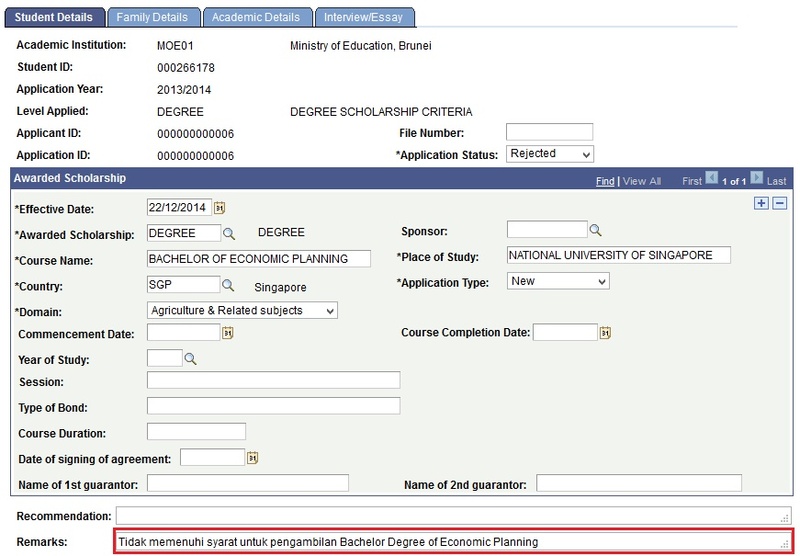 Note: MOE Scholarship Section can generate the Rejection Letter after changing the Application Status to Rejected.